Geneva (AFP) - Russia is considering extending a three-hour daily ceasefire in Aleppo, the UN envoy for Syria said Thursday, insisting a 48-hour halt in fighting was needed to bring in aid. Staffan de Mistura also said he could not verify reports of a deadly chemical attack in Aleppo but that there was "a lot of evidence" it had happened, and if so, would be considered a "war crime". 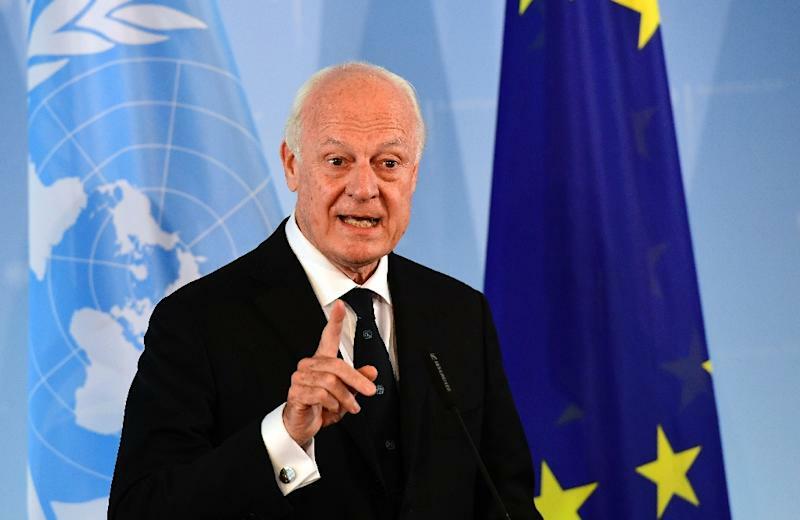 De Mistura said the ceasefire issue had been discussed extensively at the weekly meeting of the UN-backed humanitarian taskforce for Syria and Russia had voiced its willingness to expand the pause. He also said Moscow had not consulted with the United Nations before announcing its decision to hold its fire around Syria's war-ravaged second city for three hours each day to allow humanitarian aid in. "Any pause obviously should always be seen and looked at with great interest, because a pause means no fighting, but three hours is not enough," the UN Syria envoy told reporters. The UN has called for urgent aid access to Aleppo and 48-hour weekly pauses for aid deliveries, warning that civilians are at grave risk from water shortages and disease as fighting has intensified. An estimated 1.5 million people still live in the battered city, including about 250,000 in rebel-held eastern districts. "The Russian reaction here at the taskforce was 'we heard you, (and) we need to talk in order to see how we can improve our original proposal'," he said. De Mistura's deputy and the head of a UN-backed humanitarian taskforce for Syria, Jan Egeland, also said he hoped fighting could stop for long enough to make a difference. "(The Russians) say they would like to sit down with us... and discuss how a UN proposal could be implemented, and we are hopeful that that will lead to something," he told reporters. He said that a lot of time would be required because so many people were in need, requiring large convoys to travel the extremely dangerous Castello road, the last route into rebel-held parts of the city. "The road is so destroyed, it is mined, there are so many dangers, the logistics are so enormous, that we do need time each week, and we need 48 hours," he said. Russia, the main ally of Syrian President Bashar al-Assad, has vowed that it will halt its air strikes and artillery strikes between 0700 GMT and 1000 GMT for an unspecified period, starting Thursday. But an AFP correspondent in the eastern districts said trucks carrying food and other products were unable to enter the city Thursday because of intense bombardment. 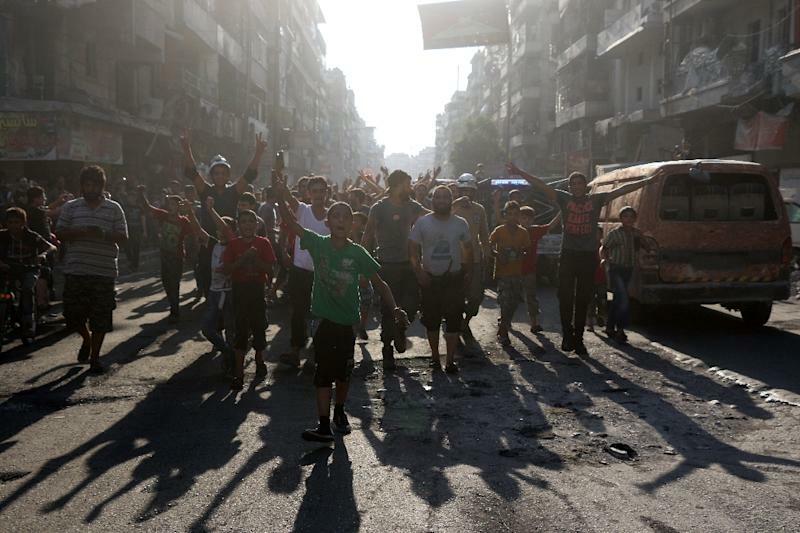 Fighting between government forces and rebels in Aleppo has intensified in the past month. De Mistura has been struggling to get a new round of peace talks started for the war-ravaged country. "We need a target timing, and the target timing is still towards the end of August," he added. Responding to questions about reports of a deadly chemical attack in Aleppo Wednesday, the Syria envoy said it was it was not in his remit to verify such reports but that "there is a lot of evidence that it actually did take place". "If it did take place, it is a war crime and as such it would require everyone... to address it immediately," he added. A US-Russian brokered deal in 2013 saw Syria cave in to international pressure to hand over its chemical stockpile for destruction, after a sarin gas attack in August that year that was blamed by the West and the opposition on Assad's regime. There have since been numerous allegations of chemical weapons being used against civilians, both by Assad's regime and the rebels.